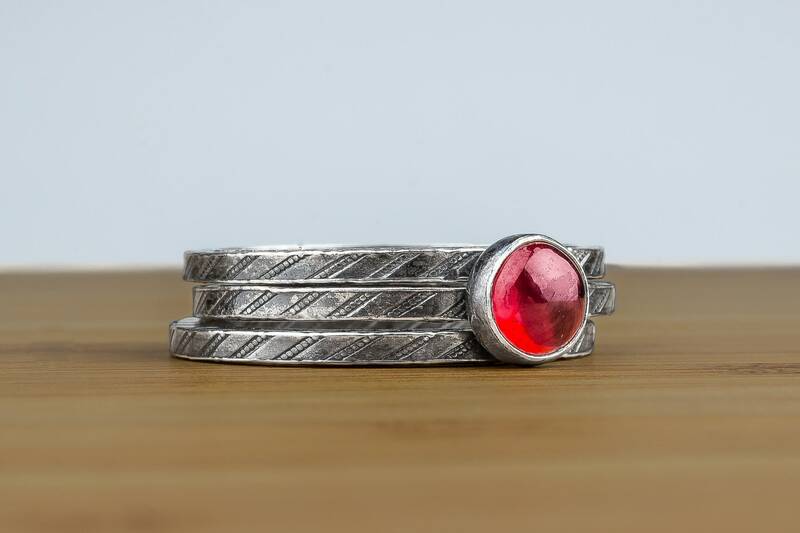 This gorgeous ring set is handcrafted from solid Sterling Silver. 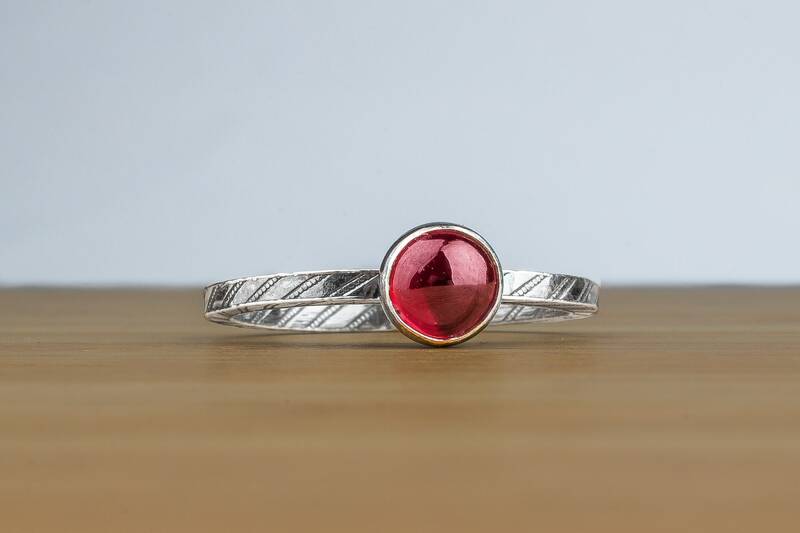 The rings feature a beautiful natural deep red Garnet gemstone. 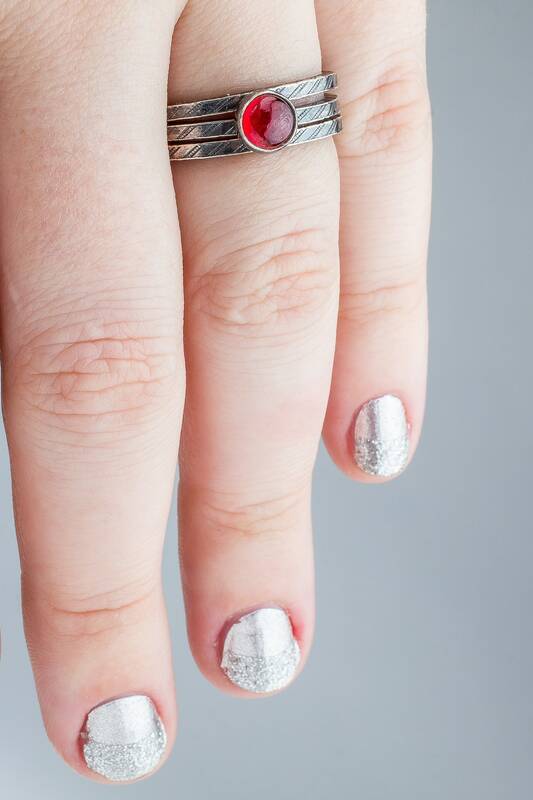 Garnet is the birthstone for January. 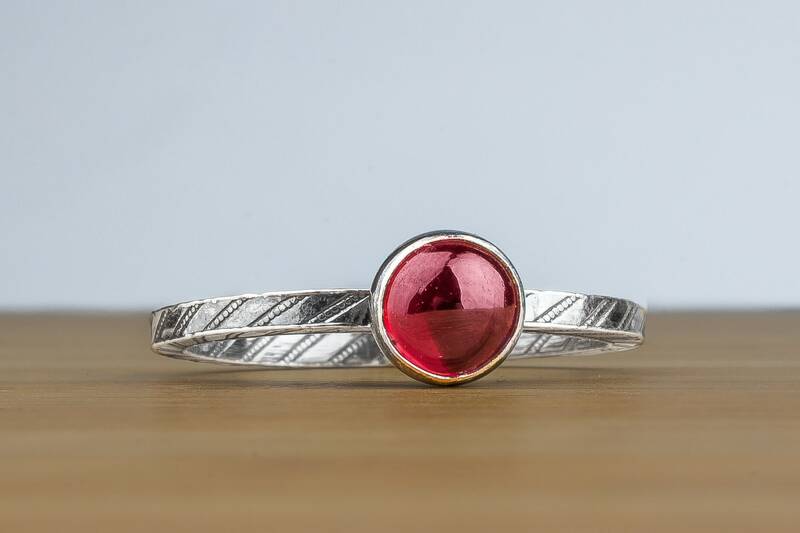 Traditional Red Garnet Gemstones get their deep color from iron and magnesium. 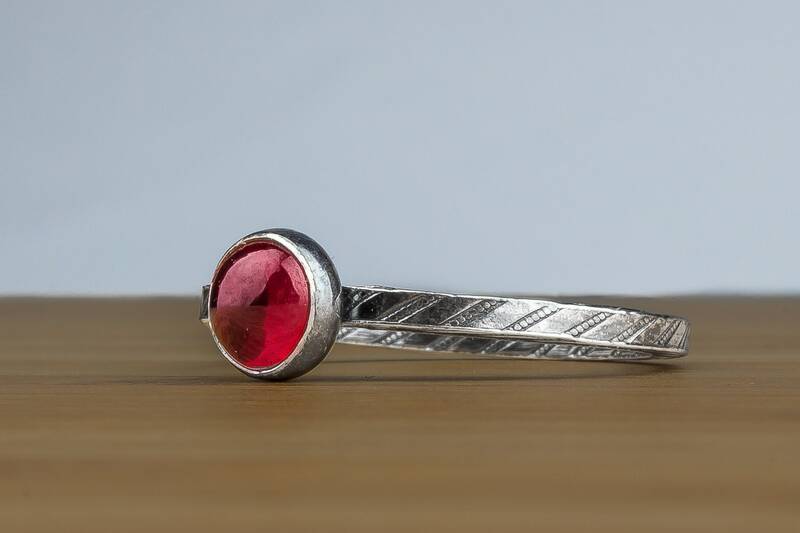 The most common color is red, but garnets are also found in green, orange, pink and blue. 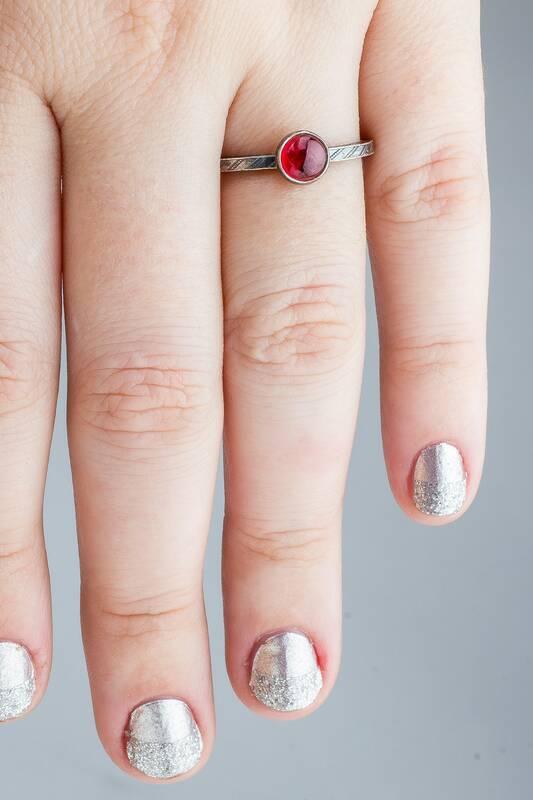 Garnet is the birthstone for January. 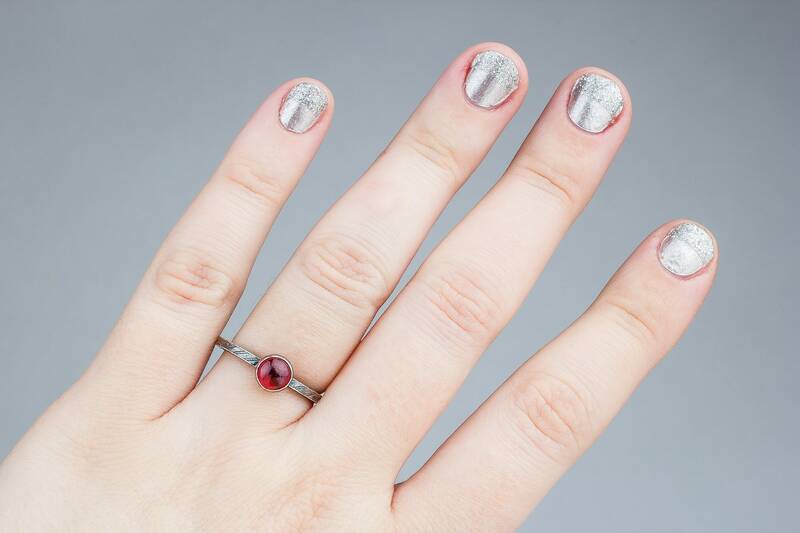 - Ring bands measure about 1.5mm in width. 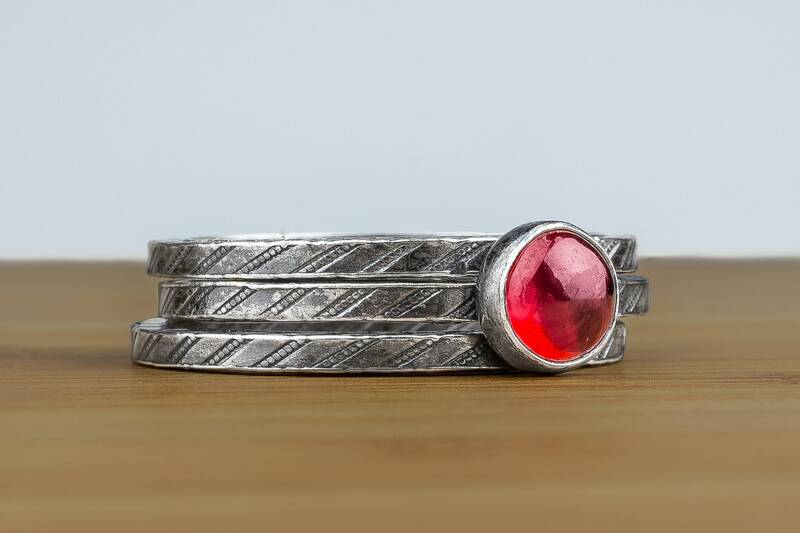 - Rings are made entirely from solid 925 sterling silver and Garnet. 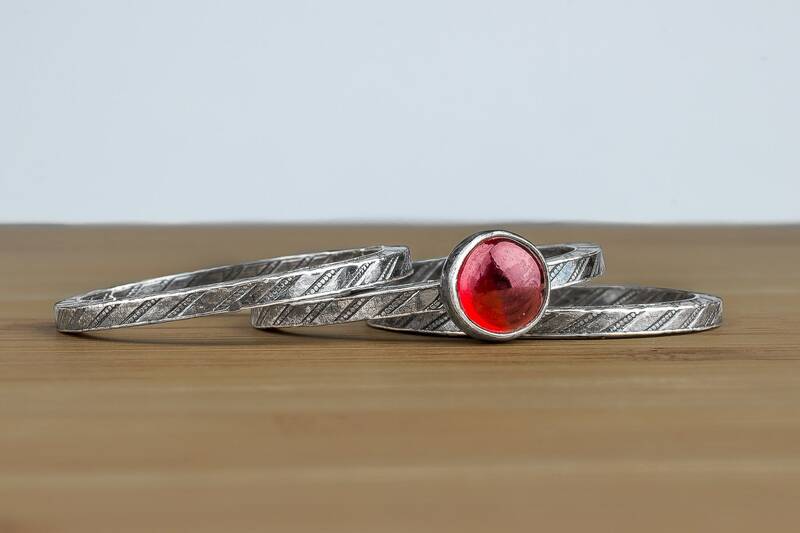 - This ring set is for THREE rings: 2 pinstripe stackers and 1 Garnet ring.